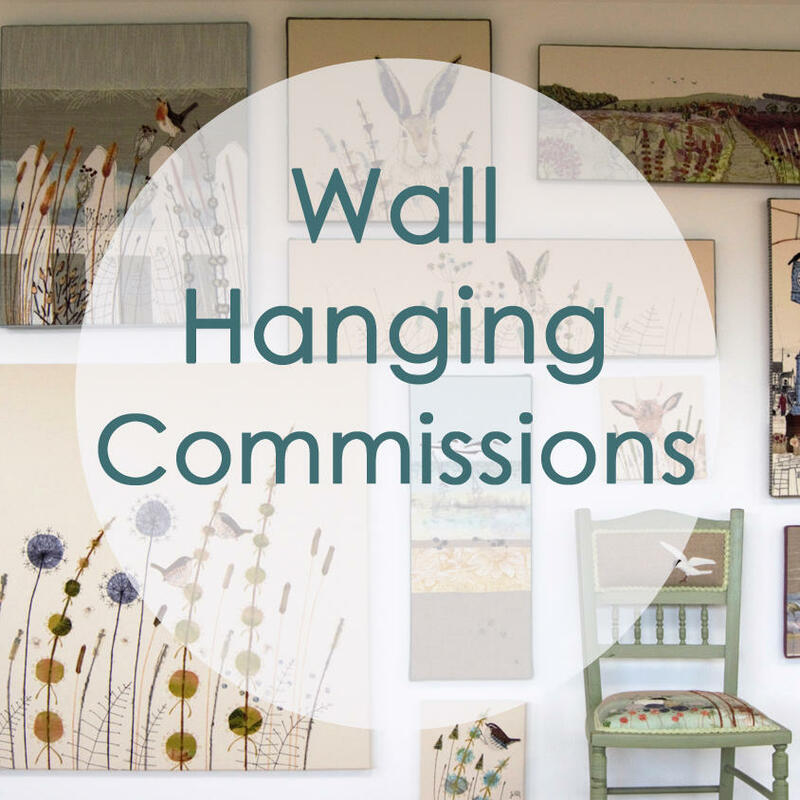 Commissions are always welcome - please get in touch to discuss your requirements. If you have a specific project in mind and would like a bespoke piece, interpreted in my unique style with sumptuous fabrics and intricate stitching, then please get in touch or email me at jo@johilltextiles.co.uk to start the design process. See the categories below to view examples of work and starting prices. I am also happy to stitch personalised pieces, for example you may want a name embroidered, or a date or a place. 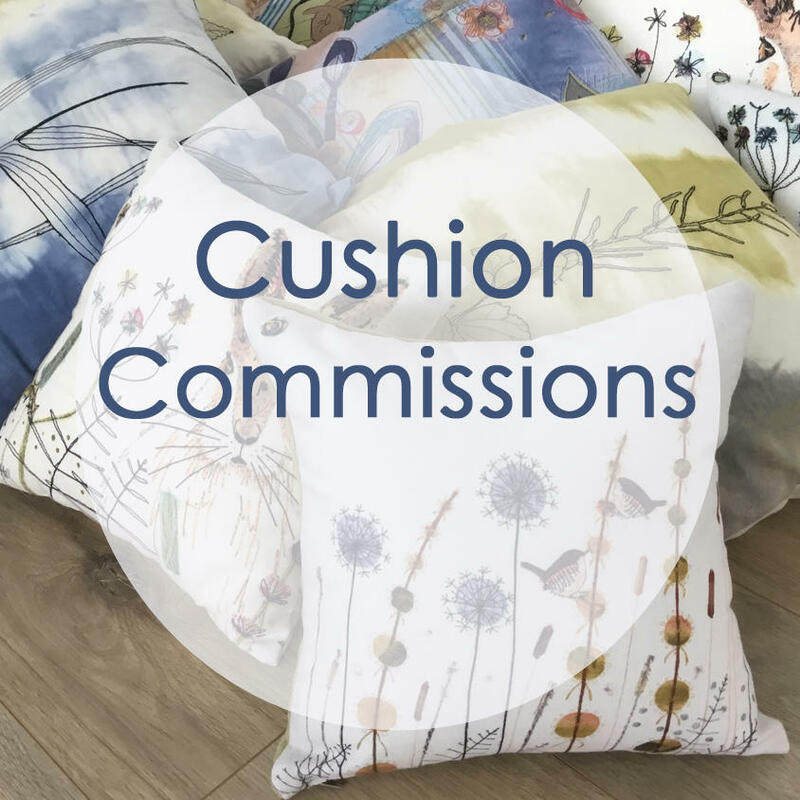 Bespoke and personalised pieces are individually priced depending on the size and amount of work involved, and prices for these start from £100. Personalised pieces usually require a 50% deposit before I start creating.